Thank you to all members of the school community who gave so generously in the collections taken at the end of each of the Christmas Productions. 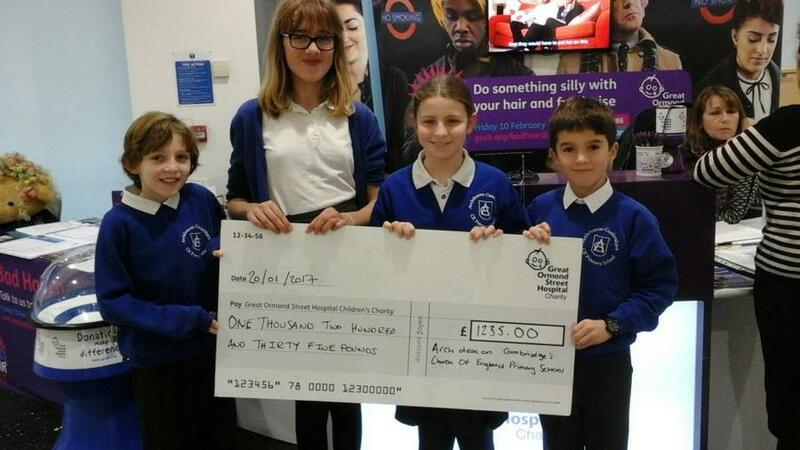 A total of £1235 was raised for Great Ormond Street Hospital, the charity chosen by our School Council. Four children from Year 6 accompanied by Mrs Foster and Mrs Patterson on a visit to the Hospital to present the cheque.